Finding the best promotional products for your business can be tricky, but we’re here to make this process easy and affordable. You want something that is effective at establishing and maintaining your brand’s awareness. You want something that delivers a great ROI. 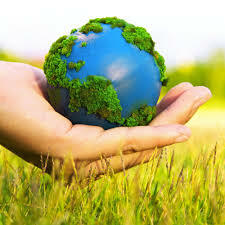 You want something that is eco-friendly and will live up to your company’s green standards. We’ve lined up three of our top selling, eco-friendly promotional products that tick all of these boxes. Keep reading to learn more. The goal of all promotional products is to be memorable and if you are looking for a standout marketing piece, seed paper is worth considering. As the name implies, seed paper is paper embedded with seeds. This paper can be used for business cards, postcards, handouts, or inserts to include in folded cards. We can print directly on the paper; we can also die cut this paper. When the paper is covered in soil and given the right considers the seeds will germinate, and plants will sprout. 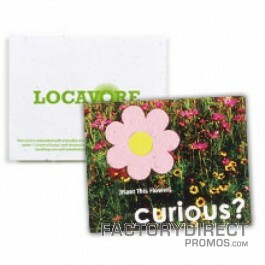 Promotional products do not get much greener than actual plants. Keep in mind that seed paper has a very tactile surface; it is meant to be felt and touched. This is great because it will encourage your clients to check it out and engage with the item, along with your marketing message. If you want a marketing piece with high-quality printing seed paper is not a good fit. Due to the uneven surface there will be variations in each piece. This paper does accept printing, and information will be easy to read, but each piece may look slightly different when viewed side-by-side. Reusable bags are the workhorse of promotional products. With so many styles to choose from you can easily find a bag that works for your brand and clients. The more useful a reusable bag is for your customers, the more often they will use your custom branded bag. The more often your clients use your branded bag, the more often they will be reminded of your marketing message, and the more exposure they will give your brand when they carry it. Custom reusable shopping bags are always a popular choice, and with the increase in disposable plastic bag bans, including the recently approved statewide ban in California, the demand for reusable grocery bags is growing. Everyone can find a use for reusable shopping bags. From the intended purpose of carrying groceries home from the store, or really toting just about anything anyplace this style of bag is versatile. If you like any of our stock styles of reusable bags, you can pick out the color of the bag and the imprinting color(s), send us your artwork and you get no hassle purchasing. 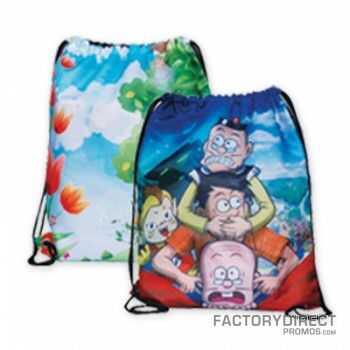 If you want to make things really interesting you can further customize any of our bags, or design your own reusable bag from the ground up by selecting our custom full-color reusable bags. You can add or remove pockets, headphone ports, add zippers or other types of closure, change the materials of the gussets or handles, alter the size, or anything else you can dream up. Reusable water bottles are incredibly popular. This line of promotional products is one clients love to get their hands on, so give your followers what they want to create your own version of custom reusable bottles to market your brand. Choose from stainless-steel, aluminum, or recycled plastic water bottles. If you want something a little different we also have folding water bottles, as well as tumblers and mugs. All of these reusable water bottles are eco-friendly because they reduce the need and use of single-use plastic water bottles, but each design fills a different need, so choose what you think will work best for your clients. Reusable water bottles are items that people use daily, and under normal use conditions they last for several years. This means the investment you make today will produce thousands of impressions, and will still be paying dividends for years to come. Custom promotional products are a great way to build a rapport with your clients while also getting your marketing message in front of people. All of our products can be customized with your info, and they are also eco-friendly. 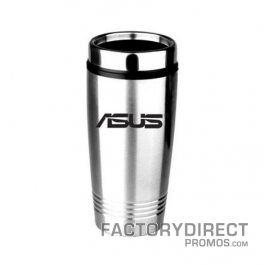 Shop now for the best selling, Eco-friendly promotional products on the web!